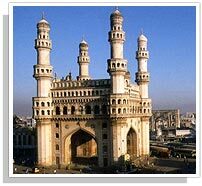 The 3rd International Joint Conference on Natural Language Processing (IJCNLP-08) will be organized by the Asian Federation of Natural Language Processing and will be held in Hyderabad, India on January 7-12, 2008. Format: Submit your paper as a PDF file. Submissions should follow the two-column format of ACL proceedings and should not exceed 6 pages, excluding References Section. We recommend using the ACL 2007 style files at http://ufal.mff.cuni.cz/acl2007/styles/ or alike. Obey the two-column format and use 11-point font. Anonymization: Reviewing will be blind, so in preparing your manuscript, do not include any information which could reveal your identity, or that of your co-authors. The title section of your manuscript should not contain any author names, email addresses, or affiliation information. Double submission policy: Papers presented at IJCNLP should consist mainly of new material that has not been previously published or is being under submission. Submission of similar papers to another journal, conference or workshop must be disclosed on the first page of the submission. Final vesions of accpeted papers should also follow the two-column ACL format. The length of final papers should not exceed eight pages. Some papers may be accepted as poster papers, in which case the pages should not exceed six pages. The proccedings of the 3rd IJCNLP will not be published from Springer. We will publish the proceedings, in printed and CD-ROM forms, of our own. All the conference and workshop papers will be archived in ACL Anthology right after the conference.